Dr. Brower taught economics and political economy at the Massachusetts Institute of Technology, Brandeis University, and University of Valle in Cali, Colombia. A peace activist and a professor, Michael Brower’s interests ran deep and wide, spanning electoral politics, fair labor practices, world economies, and the dangers of nuclear armament. He was also passionate about education. In a 2005 letter to the editor that was published in the Globe, Dr. Brower detailed his opposition to standardized tests. “We should junk the testing, study what does contribute to lifelong learning, build new innovative schools, hire more creative teachers, reduce class sizes, and put more responsibility on young people themselves to seek, plan, define, promote, and develop their own learning and that of their peers,” he wrote. 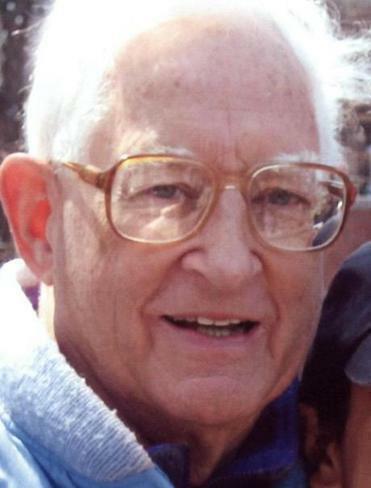 Dr. Brower died Jan. 12 in the Brigham and Women’s Hospital of esophageal varices. He was 83 and since 1981 had lived in Cambridge with his wife, Norma Finkelstein, who said neighbors often referred to him as the mayor of Alpine Street. She said he “believed in strong neighborhoods and communities” and was the first to organize annual block parties and other events that became traditions. Born in Chicago in 1932, Michael J. Brower grew up in a Zion, Ill., farmhouse, a son of Donald Brower and the former Vespera Freeman. He studied engineering and graduated in 1955 with a bachelor’s degree in liberal arts from Antioch College in Ohio. He remained deeply involved with the school throughout his life, and when the board voted to close Antioch in 2008, he worked with faculty members and other alumni to raise funds needed to restore and reopen the school three years later. After graduating from Antioch, he went to Harvard University, from which he graduated with a doctorate in political economy. He wrote his dissertation on the Manhattan Project, which developed the atomic bomb during World War II. That research, his wife said, led to his later work as an analyst on US and global nuclear policies. A Fulbright scholarship allowed him to live and work in Europe, where he learned to speak Dutch and French. Later, he taught economics and political economy at the Massachusetts Institute of Technology, Brandeis University, and University of Valle in Cali, Colombia. In the 1970s, he helped launch what became known as the Massachusetts Quality of Working Life Center, a nonprofit dedicated to helping businesses of all sizes grow while improving relations between workers and management. He advised city and state governments, as well corporations including Ford Motor Co. and Procter & Gamble, on the importance of quality working conditions. Though not a scientist, Dr. Brower wrote many articles on the dangers of nuclear armament for publications including The New Republic and the Bulletin of Atomic Scientists. He was involved in groups including the Union of Concerned Scientists, Americans for Democratic Action, the International Peace and Security Institute, Peace Action, and the Council for a Livable World. Dr. Brower’s first marriage ended in divorce. Throughout his life, Dr. Brower was “committed to changing American society through active participation in electoral politics,” said Finkelstein, whom he married in 1981. She added that he had worked for “left-leaning liberal” candidates, including on the presidential campaigns of George McGovern in 1972 and Fred Harris in 1976. Until recently, Dr. Brower was involved in Cambridge politics and volunteered for the campaigns of many politicians. Marjorie Decker, a state representative whose district includes parts of Cambridge, recalled that Dr. Brower helped her keep a seat on the City Council by helping to organize a successful write-in campaign. Decker, who grew up in a Cambridge housing project and was the first in her family to attend college, said Dr. Brower offered her “unconditional, unwavering support” throughout her political career. Dr. Brower enjoyed spending time at his family’s vacation home in Meredith, N.H., where he taught his children, grandchildren, niece, and nephew to ski and sail, his wife said. In addition to his wife, Dr. Brower leaves two daughters, Jessica of Cambridge and Kathy of Concord, N.H.; a son, David of Somerville; a stepson, Matthew Finkelstein of Arlington, Va.; and three grandchildren. A service will be held at 1 p.m. March 5 in Story Chapel at Mount Auburn Cemetery in Cambridge. Dr. Brower’s wife said that he considered himself fortunate to live near the Fresh Pond reservoir, where he walked daily for many years.